I was cleaning out my bag today and I found my ongoing shopping list. You know what I'm talking about, that list of things to keep you eye out for. Mine is constantly growing and changing as things get added and crossed off. a footstool. Preferably one like this, I am in love with those claw & ball feet. I'm dying to get my hands on one like this to recover for my family room. Lion drawer pulls- I have no real specific use for them right now, but the fiance has this love of lions and I think it would fun to incorporate lions like these into a piece of furniture. Bookcase with storage. The one above is my current obsession- I can't get it out of my head! I'm dying to get the fiances books out of the boxes and up on shelves in his office. The cabinets below would provide much needed storage for office supplies and other items we want kept hidden away. Why oh why is it so hard to find a piece like this without spending an arm and a leg?? I'm willing to re-paint or put work into it, anyone know where I can get one in the Boston area? Wood frames with fun details. Old frames are so much more interesting, the detail in them is amazing. They can be left alone or make great projects for repainting. So tell me, what's on your running shopping list?? 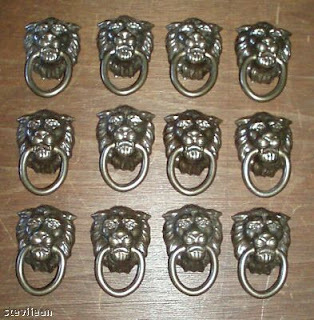 Love the lion drawer pulls! You might check out etsy for footstools...I've seen quite a few on there. High Street Market has great ones every once in a while, and they usually have really cute fabrics. good list! My sister has a cute footstool she added fun fabric too. 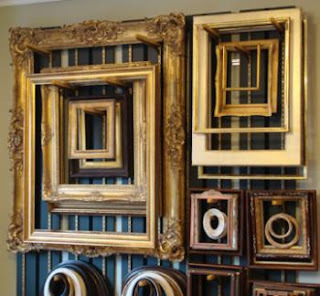 and i love the frames too! glad you like my new makeover. If you find a great source for foot stools let me know. Would love to find something I could recover myself. My list includes new black flat sandals, new towels for my bathroom... I had a tinted moisturizer on there but I got one last week! those Lion pulls are FIERCE!!!! .. i'm a new follower!!! This is fun! Love your list. 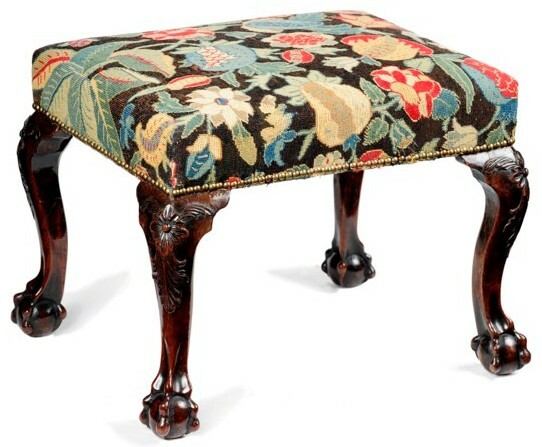 I'm with you on the footstool, I need a pair that look exactly that one to upholster with my ebay la fiorentina fabric. I'm also on the hunt for a campaign dresser, and some pretty brassy bambooey furniture! yes yes and yes. i love the idea of shopping and new projects....looks like fun! great list! I want to make a huge fabric covered bulletin board for over our desk. I am trying to see how long I can go without buying something...I need to save my money, but the Ipad is definitely on my list! LOVE that footstool, just gorgeous! I'm constantly on the search for a similar footstool on Craigslist, but haven't had any luck (thus far, anyway!). love the lion pulls an the pretty frames. my shopping list is always moving and never ending. Love your list. My shopping list always seems to change but constants definitely include a pair of gorgeous brass lamps for Dave's office and a stunning console table for the entryway. Enjoy the long weekend -- off tomorrow for a vacay! all of yours plus a million more..
Love your lion pulls. I'm desperate for a little foot stool to set in front of a mirror so it can't be too tall. Something similar to what you've shown. Keep me in mind if you find one...I love your style! 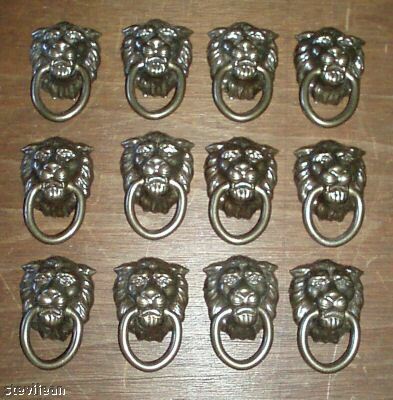 I love lions and when I say these it reminded me that I need to restart my search for my lion door knocker. I have been on the hunt forever! I'm not sure, which is a bad thing! That means I'm just buying to buy...ha. Might need to make a list tonight! I adore that footstool. What a fun list! I too love the lions! My shopping list is too long to list since we just moved into our new home and if the list wasn't long enough I also use my iphone to take photos of things I see while I'm out and about to add more to the list!! I love the idea of having a running shopping list. 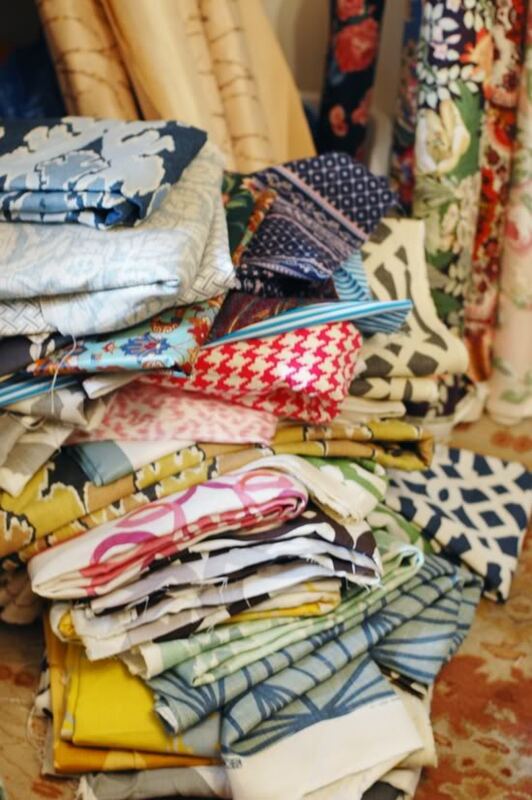 ON my list are espadrilles and summer frocks - amongst mirrored bedside dressers...and fun wallpaper.